A fresh blend of tomato juice, lemon and lime juices, spices, umami and our secret blend of peppers. 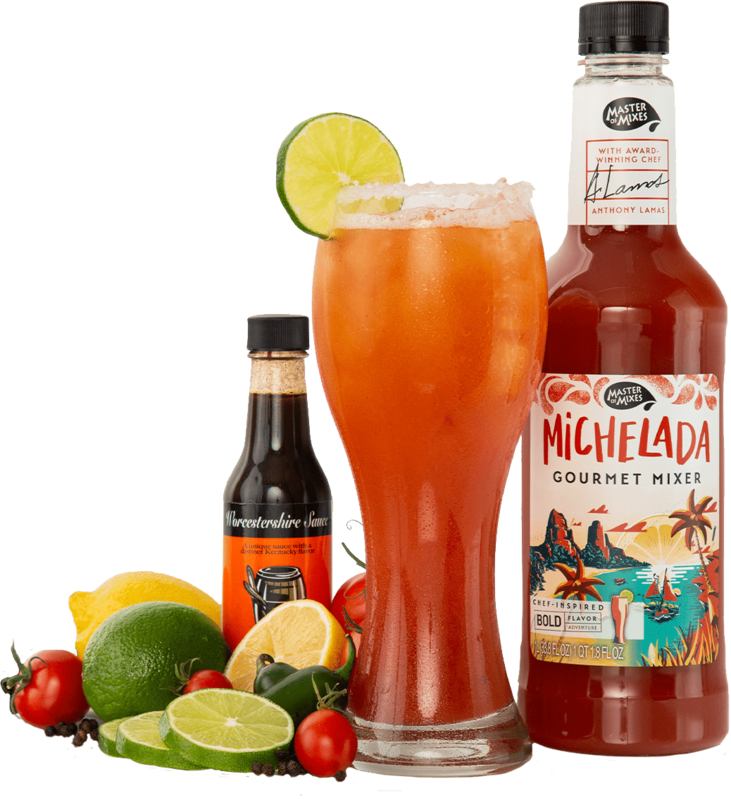 A refreshingly bold combination of citrus and spice, Bold Flavor Gourmet Michelada Mixer is everything you need to craft the perfect michelada; just add your favorite beer! Be the trendsetter by exposing your friends and family to this fast-growing cocktail style and set the bar high with this premium mix that features 69% juice for a fresh tasting cocktail!